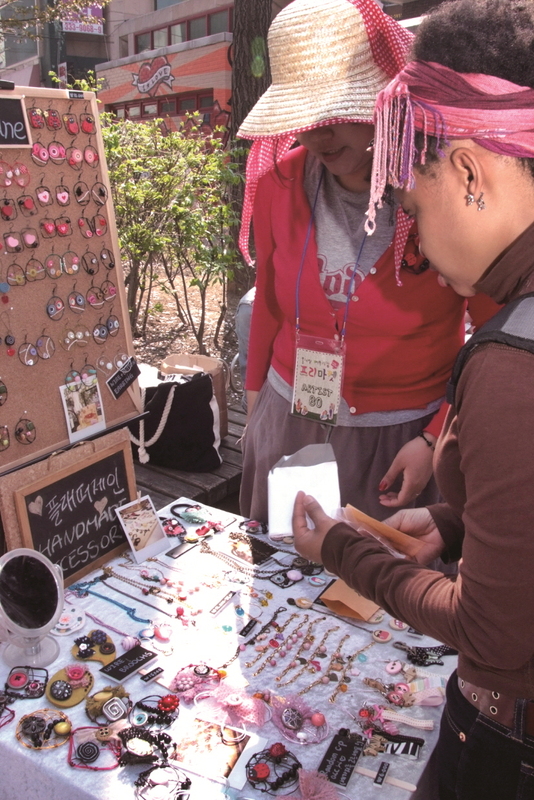 On weekends, several flea markets are open to the public in Seoul, where vendors display their used or handmade goods for sale. 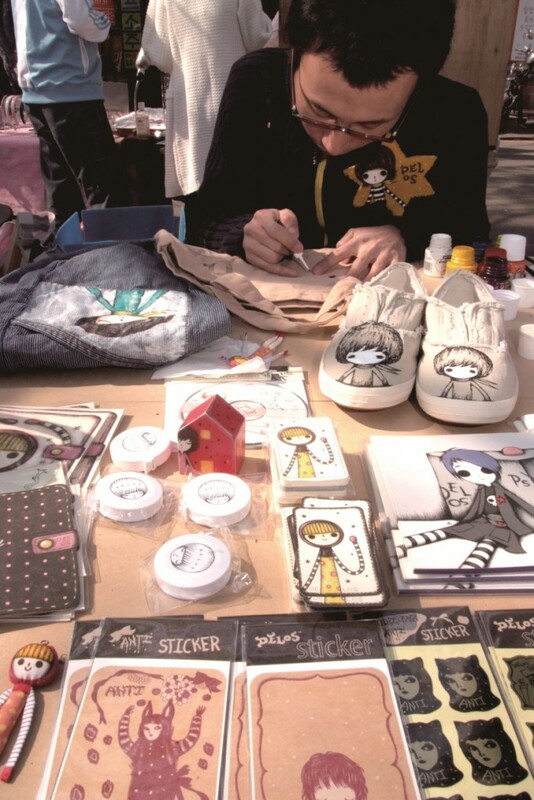 The Hongdae Free Market opens at 1pm every Saturday from March to November. Instead of used goods, you will find a variety of items handcrafted by college-age artists. Every Sunday, Filipinos gather in a flea market near Hyehwa Station 혜화역 (Line 4), Exit 1 to meet and chat with their fellow citizens and friends. The market sells groceries and food as well as magazines and CDs from the Philippines. The Seocho Saturday Flea Market is located in the Bangbae-dong area in front of Sadang Station. 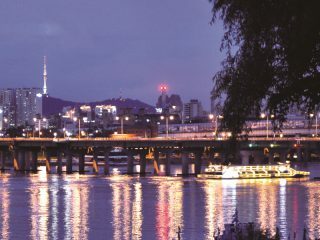 On Sundays, the Korea Exchange Bank plaza in Myeong-dong turns into a flea market called Myeongrang Market. Lastly, the Bling & Platoon Night Flea Market takes place on the first Saturday of the month at the multiuse cultural space Platoon Kunsthalle (T. 02-3447-1191, www.kunsthalle.com) in Nonhyeon-dong.